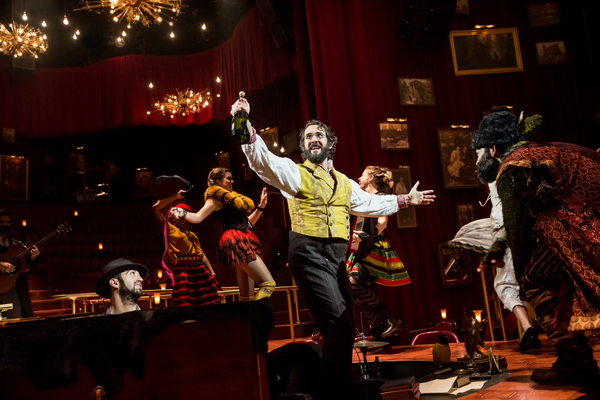 Highly original in style and extraordinarily exuberant in performance energy, Natasha, Pierre and the Great Comet of 1812 is a fresh, exciting and affecting new musical. 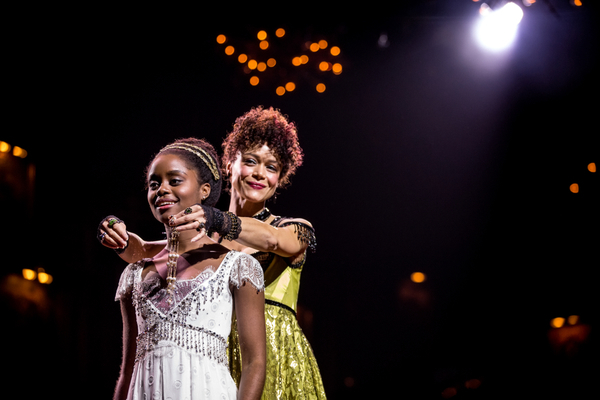 The creative team of The Great Comet has gone the extra distance to ensure that this is a unique piece of theatre. Entering the space, the Imperial Theatre auditorium and stage are unrecognisable, reconfigured into an immersive arena without any trace of a traditional proscenium arch. The walls are adorned with red velvet curtains and dozens of framed pictures of Russian images. Twinkling lights and satellite fittings hand overhead while lap lights flicker at tiny tables throughout the auditorium. The ensemble enters, tossing tiny take away boxes of potato dumplings to the eager audience and the show is underway. 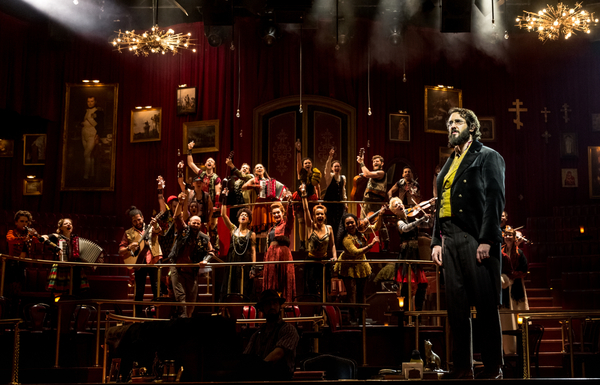 In an incredible feat of writing, Dave Malloy has crafted the book, music, lyrics and orchestrations for the show. 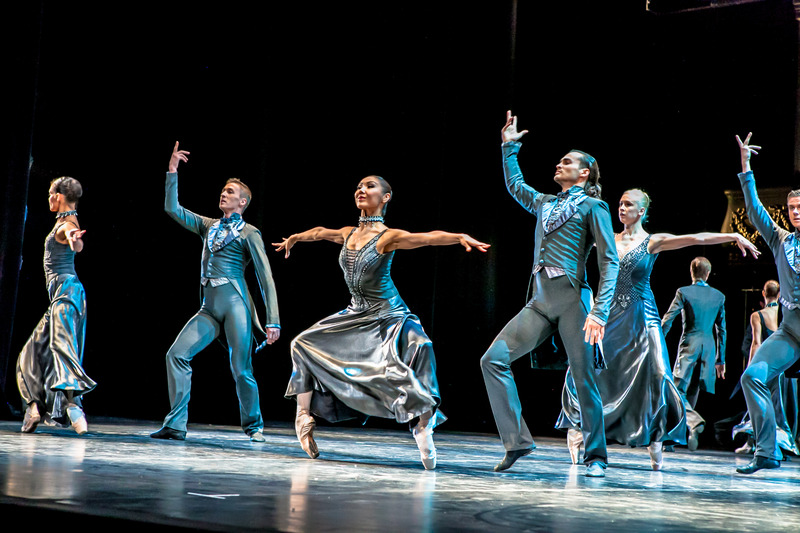 The music is a stirring mix of Russian folk and classical music, with a modern twist. A key to Malloy’s success in writing the through-sung show is the well-judged balance between lively full company numbers and soaring ballads. The story is, of course, taken from Tolstoy’s epic masterpiece War and Peace. 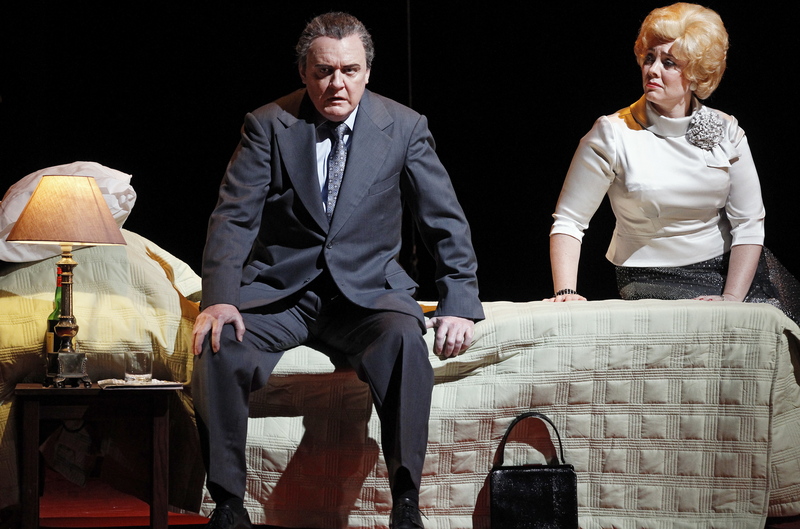 Given that the full story is beyond the scope of any Broadway musical, Malloy has focused on romantic young heroine Natasha. The musical covers the second half of Volume Two of Tolstoy’s vast tome (which consists of four volumes and an epilogue). Natasha is already promised to the dashing Andrey, who is away because of the war. Attending an opera, Natasha meets handsome fiend Anatole, brother of Pierre’s devilish, self-serving wife Hélène. Andrey accepts the dissolution of his engagement to Natasha, but her cousin Sonya foils Natasha and Anatole’s elopement and Natasha takes poison. 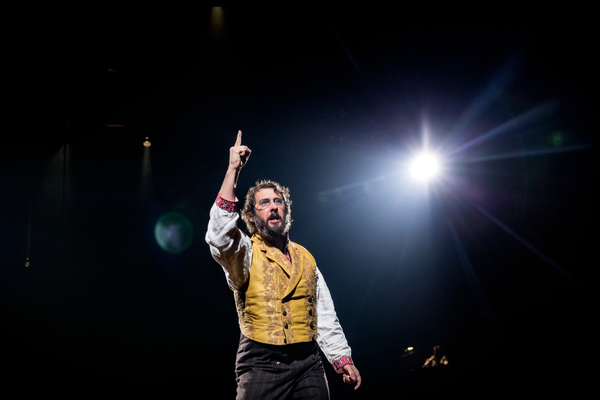 Pierre sees the Great Comet, and believes that life for him and those he loves is poised to begin anew. While a little preparation is an aid to following the plot, the key characters are introduced very clearly during “Prologue.” Director Rachel Chavkin ensures that the storytelling is clear in broad terms, providing so much visual stimulation and infectious entertainment that even audience members who tune out of the story will find plenty to amuse them throughout the show. Sam Pinkleton’s dynamic choreography is also a big part of the spectacle. Just as the music is an eclectic mix, so too are the costumes (by Paloma Young). Lead characters are given a distinctive look to help the audience keep them clear. The ensemble wear close-fitting outfits made, in part, of modern items yet having a strongly suggestive period look overall. 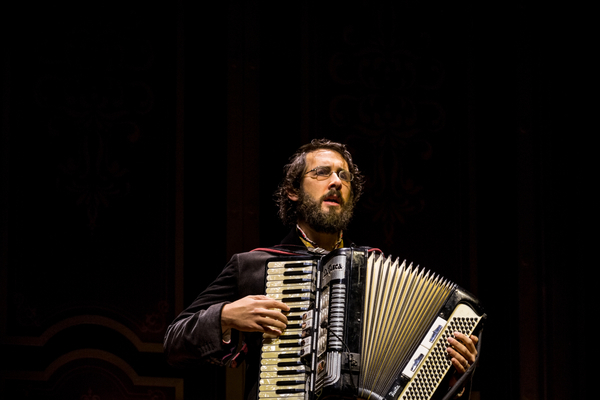 Leading man Josh Groban proves a strong team member, staying in the central orchestra area to play piano accordion, piano and percussion between his scenes. Pierre steps into the spotlight halfway through act one with stunning I wish song “Dust and Ashes.” Groban’s singing voice is absolutely superb, with an effortless range and a truly gorgeous tone. Groban is endearing as awkward, stout Pierre, immersing himself within the role. 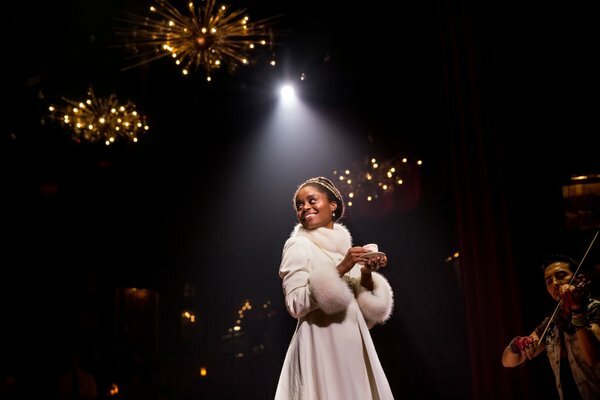 Denée Benton is a delightful leading lady, well up to the task of carrying such a large show. Benton successfully establishes a sympathetic character, despite the fact that Natasha is essentially cheating on Andrey by responding to Anatole’s advances. 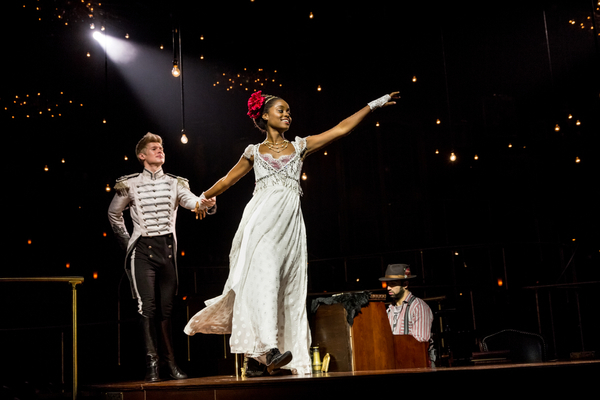 Natasha, Pierre and the Great Comet of 1812 is one of Broadway’s current must-see musicals, particularly while Josh Groban remains in the cast (until 2 July 2017). Natasha, Pierre and the Great Comet of 1812 was reviewed 2pm Wednesday 12 April 2017 at Imperial Theatre, New York.